TLJ News: March 11-15, 2005. 3/15. The Senate Judiciary Committee held a hearing on the SBC/ATT and Verizon/MCI mergers. Sen. Arlen Specter (R-PA), the Chairman of the full Committee, made an opening statement, and then departed. Sen. Mike Dewine (R-OH), the Chairman of the Antitrust Subcommittee, Sen. Herb Kohl (D-WI), the ranking Democrat on the Subcommittee, and Sen. John Cornyn (R-TX), also made statements. The CEOs of all four companies testified. Then, Sen. DeWine and Sen. Kohl asked numerous questions. Neither the Committee, nor the Congress, can block either merger, or impose any conditions. The Committee can hold hearings, and make recommendations to U.S. antitrust regulators. The Department of Justice's Antitrust Division could block, or impose conditions upon, either or both transaction. Also, the Federal Communications Commission (FCC) exercises a redundant antitrust review in its proceedings on the transfer of FCC issued licenses associated with these mergers. Sen. Specter said that "the question we have to answer is whether there will be sufficient competition for consumer protection." Sen. DeWine said in his opening statement, and during questions, that the competition issue of concern to him is the telecommunications enterprise market. He said that the mergers will result in fewer competitors. He questioned to what extent intermodal competition will protect competition in the enterprise market. The CEOs argued that there is lots of intermodal competition. Sen. Kohl asked the CEOs whether they would agree to certain conditions being imposed upon their mergers. All CEOs declined to agree to any merger conditions proposed by Sen. Kohl. 3/15. The House Commerce Committee's Subcommittee on Commerce, Trade and Consumer Protection held a hearing titled "Protecting Consumer's Data: Policy Issues Raised by Choice Point". Derek Smith, Ch/CEO ChoicePoint, apologized to those individuals who have been harmed by ChoicePoint, and endorsed a national standard for mandatory disclosure to individuals whose personally identifiable information has been accessed without authorization by the data aggregator. Kurt Sanford, CEO of Lexis Nexis, a division of Reed Elsevier, offered his regrets to consumers, and likewise supported a limited mandatory disclosure standard. However, neither endorsed broader regulation of data aggregators. Reed Elsevier announced on March 9, 2005 that its Seisint unit, which aggregates data on individuals, may have provided personal information on 32,000 individuals to unnamed persons or entities that may use the data for identity theft. See, story titled "Reed Elsevier Reveals Fraudulent Access to Databases of Personal Information" in TLJ Daily E-Mail Alert No. 1,093, March 11, 2005. Rep. Ed Markey (D-MA) promoted privacy legislation that he introduced earlier this month. Marc Rotenberg of the Electronic Privacy Information Center (EPIC) advocated sweeping privacy legislation. Rep. Cliff Stearns (R-FL), the Chairman of the Subcommittee, stated that "Recent security breaches at two of the biggest and most sophisticated companies in the industry, ChoicePoint and LexisNexis, highlight the need for this examination of the effectiveness of current regulatory regimes." Rep. Stearns (at right) also said that "There is clearly a need to consider a comprehensive federal consumer notification requirement when breaches occur, as well as a uniform national standard for securing personal information. This is the 21st century and total anonymity is not realistic, but consumers have a legitimate expectation to privacy and the knowledge that their personal information is secure. We need to look at balancing privacy with the legitimate need for access to this information for business and law enforcement purposes." Rep. Joe Barton (R-TX), the Chairman of the full Committee, said that "We've got to find a way to let you folks do what you do and also to protect the privacy of the individual citizen ... And there's a good chance that we will put together a bill that bans the sale of Social Security numbers." Rep. Ed Markey (D-MA), the ranking Democrat on the Subcommittee, wrote in his opening statement [PDF] that ChoicePoint sold personal information of over one thousand of his constituents to identity thieves. "They had no ``Choice´´ about this … and that's the point", said Rep. Markey. He stated that HR 1080 "would subject information brokers like ChoicePoint to federal regulation by the Federal Trade Commission, and require that such brokers comply with a set of new fair information practice rules. These rules require information brokers to better secure the information in their possession, grant consumers the right to obtain access to and correct information held by the broker, require information brokers to protect information from unauthorized users, and prohibit users of an information broker from obtaining the information for impermissible or unlawful purposes. The bill's requirements will be enforceable through the FTC, which would be empowered to bring civil actions to punish and fine violators; the State Attorney's General, who could bring similar actions; and consumers,' who would be empowered to bring a private right of action." He stated that HR 1078 "would bring a halt to unregulated commerce in Social Security numbers. This bill would make it crime for a person to sell or purchase Social Security numbers. Under the bill, the FTC would be given rulemaking authority to restrict the sale of Social Security numbers, determine appropriate exemptions, and to enforce civil compliance with the bill's restrictions. The bill would also authorize the states to enforce compliance, and provide for appropriate penalties." Derek Smith, Ch/CEO of ChoicePoint, explained the benefits provided by his company in his prepared testimony [10 pages in PDF]. He said that "Last year ChoicePoint helped 100 million American consumers obtain fairly priced home and auto insurance, and thousands of American businesses obtain commercial property insurance. We also helped 8 million Americans get jobs through our workplace pre-employment screening services." He also stated that "I know I am here because your committee and your constituents are concerned about the harm that may have been done to approximately 145,000 Americans, whose information may have fallen into the hands of criminals who accessed ChoicePoint systems. Let me begin by offering an apology on behalf of our company, as well as my own personal apology, to those consumers whose information may have been accessed by the criminals whose fraudulent activity ChoicePoint failed to prevent." Smith then said that ChoicePoint has "decided to exit the consumer sensitive data market not covered by the Fair Credit Reporting Act, meaning ChoicePoint will no longer sell information products containing sensitive consumer data including social security and drivers license numbers except where there is a specific consumer driven transaction or benefit or where the products support federal, state or local government and criminal justice purposes. ChoicePoint will continue to provide authentication, fraud prevention and other services to large accredited corporate customers where consumers have existing relationships." Finally, he stated that "I support a single, reasonable, nationwide mandatory notification requirement of any unauthorized access to personally identifiable information." Kurt Sanford, CEO of Reed Elsevier's Lexis Nexis, wrote in his prepared testimony [13 pages in PDF] that "it appears that cybercriminals compromised IDs and passwords of legitimate Seisint customers and used those IDs and passwords to access certain Seisint databases. The information accessed was limited to public record information and certain identifying information, such as social security numbers and driver's license information." But, he offered no detailed explanation, cited an ongoing law enforcement investigation. He added that "We further regret any adverse impact that this crime may have upon the individuals whose information was accessed." He also stated that "we support requiring notification in the event of a security breach where there is substantial risk of harm to consumers." In addition, he said that the Congress should preempt state laws. He said that "we believe that it is important that any such proposal contain federal preemption to insure that companies can quickly and effectively notify consumers and not struggle with complying with multiple, potentially conflicting and inconsistent state laws." He also said that LexisNexis supports the proposal "whereby the types of security protections required by the Safeguard Rule of the GLBA would be applicable to information service providers that are not themselves ``financial institutions´´ as defined under GLBA." Finally, he argued that "It is critical that any legislation being considered ensure that legitimate businesses, government agencies, and other organizations continue to have access to identifying information that they depend on for important purposes including fraud detection and prevention, law enforcement, and other critical applications." Deborah Majoras, Chairman of the Federal Trade Commission (FTC), wrote in her prepared testimony [22 pages in PDF] that information aggregated by data brokers "may help credit card companies detect fraudulent transactions or assist law enforcement agencies in locating potential witnesses. Despite these benefits, however, there are concerns about the aggregation of sensitive consumer information and whether this information is protected adequately from misuse and unauthorized disclosure. In particular, recent security breaches have raised questions about whether sensitive consumer information collected by data brokers may be falling into the wrong hands, leading to increased identity theft and other frauds." She also testified that data brokers are already "subject to a variety of federal laws with regard to the privacy and security of consumers' personal information." Joseph Ansanelli, CEO of Vontu, offered some limited proposals in his prepared testimony [11 pages in PDF]. He wrote that "One possible solution to raise the level of consumer data protection is to extend existing industry specific consumer data protection requirements to cover any organization which stores private consumer data and create a preemptive and unified, National Consumer Data Security Standard." He added that "One alternative would be very similar to GLBA and HIPAA in addition to a requirement for notification. The difference is that it would apply to any organization that stores consumer information regardless of industry or location." Marc Rotenberg, Executive Director of the Electronic Privacy Information Center (EPIC), stated in his prepared testimony [14 pages in PDF] that "Choicepoint has made clear the need to regulate the information broker industry". Rotenberg testified that the data brokerage industry is contributing to identity theft. He pointed out that ChoicePoint does not bear the cost of identity theft; consumers do. And because of this, ChoicePoint does not take these costs into consideration when deciding how much to spend on data security. He argued that "that market-based solutions fail utterly when there is no direct relationship between the consumer and the company that proposed to collect and sell information on the consumer." Hence, there must be privacy regulation by the government. He said that "there are clearly problems with both the adequacy of protection under current federal law and the fact that many information products escape any kind privacy rules. Choicepoint has done a remarkable job of creating detailed profiles on American consumers that they believe are not subject to federal law." He added that "Even their recent proposal to withdraw the sale of this information is not reassuring. They have left a significant loophole that will allow them to sell the data if they believe there is a consumer benefit." He said that "this episode also demonstrates the failure of the FTC to aggressively pursue privacy protection." "Extending notification statutes such as the California bill would be a sensible step but this is only a partial answer", said Rotenberg. He continued that "legislation such as the Information Protection and Security Act, H.R. 1080, provides a good starting point to safeguard consumer privacy and reduce the growing threat of identity theft. It would allow the FTC to develop fair information practices for data brokers; violators would be subject to civil penalties. Enforcement authority would be given to the FTC and state attorneys general. Consumers would be able to pursue a private right of action, albeit a modest one. And states would be free to develop stronger measures if they chose." But, he said "a stronger measure would establish by statute these same authorities and impose stricter reporting requirements on the information broker industry. It would include a liquidated damages provision that sets a floor, not a limit, on damages when a violation occurs, as is found in other privacy laws. It is even conceivable that Congress could mandate that information brokers provide to consumers the same information that they propose to sell to a third party prior to the sale. This would make consent meaningful. It would promote record accuracy. He also argued that information brokers "routinely sell data to law enforcement and other federal agencies" and "should be subject to the federal Privacy Act". Rotenberg also opposed federal preemption of state data privacy laws. The Senate Banking Committee also continued the hearing that it began on March 10, 2005. See, story titled "Senate Banking Committee Holds Hearing on Data Security" in TLJ Daily E-Mail Alert No. 1,093, March 11, 2005. See, March 15 prepared testimony [PDF] of Don McGuffey (VP of ChoicePoint), prepared testimony [PDF] of Evan Hendricks (Editor of Privacy Times), and prepared testimony [PDF] of Barbara Desoer (EVP of Bank of America). Desoer provided a more detailed explanation of the loss. She wrote that "The shipment took place on December 22, 2004. A total of 15 tapes were shipped. Five were lost in transit. Two of the lost tapes included customer information; the remaining three contained non-sensitive, back-up software. Backup tapes such as these are created and stored at remote locations as a routine industry contingency practice in the case of any event that might interrupt our ability to serve our customers. This is standard industry practice, and is designed to protect businesses, their customers, and the U.S. economy at large, in the event of disruptions in the economic environment that arise from either natural or man-made causes." She added that "none of the tapes or their containers bore any markings or information identifying our company, the nature of their contents or their destination. Nor are any of the personnel involved in the shipping process aware of the nature of the materials being shipped. As to the tapes themselves, sophisticated equipment, software and operator expertise are all required to access the information." She also testified that "no evidence to indicate that the tapes were wrongfully accessed or their content compromised." 3/15. The House Science Committee's (HSC) Subcommittee on Environment, Technology, and Standards amended and approved HR 250, the "Manufacturing Technology Competitiveness Act of 2005". This bill would, among other things, authorize the appropriation of $425,688,000 for FY 2006 (and increasing amounts for subsequent years) for the scientific and technical research and services laboratory activities of the National Institute of Standards and Technology (NIST), of which $55,777,000 would be for electronics and electrical engineering, and $60,660,000 would be for computer science and applied mathematics. The Subcommittee approved two amendments by voice votes. First, it approved an amendment offered by Rep. Vernon Ehlers (R-MI), the sponsor of the bill, that makes technical corrections. Second, it approved an amendment offered by Rep. David Wu (D-OR) that would permit the Manufacturing Extension Partnership (MEP) to accept funding from other federal agencies. The HSC stated in a release that this bill will "foster innovation in the manufacturing sciences by creating a mechanism for coordinating federal manufacturing research and development (R&D). It would also create new -- and strengthen existing -- programs that support manufacturing research, development and innovation, and would provide technical extension services to small and medium-sized manufacturers." 3/15. A trial jury of the U.S. District Court (SDNY) returned a verdict of guilty against Bernard Ebbers. Attorney General Alberto Gonzales stated in a release that "Today's verdict is a triumph of our legal system and the application of our nation’s laws against those who breach them. We are satisfied the jury saw what we did in this case: that fraud at WorldCom extended from the middle-management levels of this company, all the way to its top executive." Gonzales added that "The President's Corporate Fraud Task Force will continue to work to ensure justice for the workers and shareholders who lost billions of dollars to this fraud. We will also continue to work with those corporate leaders and CEOs whose exemplary ethical standards and transparent business models have helped build and fortify a nation’s trust in our economy." Michael Capellas, the current CEO of WorldCom, which is now renamed MCI, testified at a Senate Judiciary Committee hearing on the merger of Verizon and MCI on March 15. He said nothing in his prepared testimony about the history of accounting fraud at his company, or Bernard Ebbers. Senators asked him no questions about these subjects. Capellas walked away when asked by a reporter about the Ebbers case after the Senate hearing. 3/15. The Securities and Exchange Commission (SEC) filed a civil complaint [50 pages in PDF] in U.S. District Court (DColo) against Joseph Nacchio, a former Qwest CEO, and others, alleging accounting fraud. The complaint states that "From at least April 1, 1999, through March 31, 2002, senior executives and others at Qwest Communications International Inc. engaged in a massive financial fraud that hid from the investing public the true source of the company’s revenue and earnings growth, caused the company to fraudulently report approximately $3 billion of revenue, and facilitated the company’s June 2000 merger with US West." Stephen Cutler, Director of the SEC's Division of Enforcement, stated in release that "Joseph Nacchio and others at Qwest wanted the company's shareholders to believe that the company was doing better than it actually was. Today's enforcement action once again tells corporate executives that they will be held personally accountable when they keep the truth from the marketplace." The SEC also announced that two of the defendants have consented to the entry of judgment against them, and to pay fines and disgorgement. The SEC also announced that it filed three other related civil complaints in U.S. District Court against three former officers of Qwest. This case is SEC v. Joseph Nacchio, et al., U.S. District Court for the District of Colorado, D.C. No. 05-MK-480 (OES). 3/15. Dirk Vande Beek was named VP of Global Government Relations for Computer Associates International (CA). CA announced in a release that he "will direct government and public affairs and coordinate strategic and tactical public affairs programs relating to the U.S. federal and state governments. In addition, he will oversee CA's presence in the European Union in Brussels." He was previously SVP for government and public affairs at RJI Capital Corporation. 3/15. 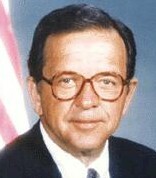 Thomas Bentley was named to the Board of Directors of Rambus, effective March 11, 2005. He will chair the Audit Committee. Rambus also announced that Chuck Geschke, who is a founder of Adobe Systems, retired from the Board, and that William Davidow will not stand for re-election; his term ends on May 3, 2005. See, Rambus release. 3/15. Rep. James Sensenbrenner (R-WI), the Chairman of the House Judiciary Committee, gave a speech to the U.S. Judicial Conference. He stated, among other things, that the Congress will split the U.S. Court of Appeals for the 9th Circuit. He said that "The Ninth is too big in so many ways. It leads all circuits in total appeals filed and pending. It represents too many people and too many litigants over too large an expanse of geography. Along with others in Congress, I am greatly concerned about the Ninth’s inability -- based on its size and workload -- to do more of its work en banc on issues of great importance. It is not a question of if the Ninth will be split, but when." 3/15. Microsoft, Time Warner and Thomson announced that they have completed a three way acquisition of ContentGuard, a developer of digital rights management (DRM) technologies. Microsoft stated in a release that "the new operation is not to be reviewed under the EU Merger Regulation". 3/14. The U.S. Court of Appeals (FedCir) issued an opinion [11 pages in PDF] in Pause Technology v. Tivo, a patent infringement case involving digital video recorder (DVR) technology. The Court of Appeals held that it lacks jurisdiction. It explained that since the District Court has not yet decided TiVo's invalidity counterclaim, the judgment of the District Court is not a final order within the meaning of 28 U.S.C. § 1295(a)(1). The Court of Appeals dismissed the appeal. Pause will likely be back shortly. On September 25, 2001.Pause filed a complaint in U.S. District Court (DMass) against Tivo alleging patent infringement. See also, Pause release. Tivo filed an answer and counterclaim in which it asserted the affirmative defenses of invalidity and non-infringement. It also counterclaimed for a declaratory judgment of invalidity and non-infringement. The District Court entered summary judgment for Tivo on its claims that its DVR technology does not infringe the patent in suit. The District Court did not rule on the invalidity claims. Section 1295(a)(1) provides that "(a) The United States Court of Appeals for the Federal Circuit shall have exclusive jurisdiction -- (1) of an appeal from a final decision of a district court of the United States, the United States District Court for the District of the Canal Zone, the District Court of Guam, the District Court of the Virgin Islands, or the District Court for the Northern Mariana Islands, if the jurisdiction of that court was based, in whole or in part, on section 1338 of this title, except that a case involving a claim arising under any Act of Congress relating to copyrights, exclusive rights in mask works, or trademarks and no other claims under section 1338(a) shall be governed by sections 1291, 1292, and 1294 of this title". The key words here are "final decision". The Appeals Court wrote that the District Court's disposition of the case is not final because it left unadjudicated the invalidity issue. The Court of Appeals also noted its displeasure with the appellate counsel who failed to discern the procedural defect. The appeal is subject to reinstatement, and Pause will likely soon be back before the Court of Appeals. 3/14. The House Commerce Committee's Subcommittee on Commerce, Trade and Consumer Protection will hold a hearing titled "Protecting Consumer's Data: Policy Issues Raised by Choice Point" on Tuesday morning, March 15. The Committee issued a release on March 10 that states that "Not long ago, your Social Security number was between you and the government and nobody else. Nowadays, everybody seems to have your number, and that knowledge is the open door through which identity thieves can steal both your money and your reputation." Rep. Joe Barton (R-TX), the Chairman of the Committee, stated in this release that "I just think it's fundamentally wrong. And in the Internet age, it's dangerous". He added that "Under current law these companies have a legal right to package information and do almost anything they want with it ... I personally see no socially redeeming value in anyone having the right to give away and sell my personal information unless I approve it." The witnesses at the March 15 hearing will be Deborah Majoras (Chairman of the Federal Trade Commission), Derek Smith (Ch/CEO ChoicePoint), Kurt Sanford (CEO of Lexis Nexis), Joseph Ansanelli (CEO of Vontu), and Marc Rotenberg (Electronic Privacy Information Center). The Nevada Department of Motor Vehicles (NDMV) announced in a release that on March 7, 2005 a burglary of one of its offices resulted in the theft of personal information regarding about 8,700 persons. The NDMV added that "The Department will begin mailing certified letters and new driver licenses to those affected on Wednesday, March 16th. The new licenses will have new driver license numbers. Three days after a certified letter was mailed, the old record will be cancelled and the new record put into force." The NDMV will not issue new names, social security numbers, addresses, or photos, to replace those that were stolen. The NDMV stated in its initial release that "A suspect or suspects, who remain at large, drove a vehicle through the building’s rear windows and employee entrance. The equipment used to issue driver's licenses was taken, including the digital camera tower, its associated computer, the license printer, driver license blanks and laminate seals. Nothing else was taken. Without being connected to the department's computer application, the equipment has limited use." The Senate Banking Committee has already begun to hold hearings on this issue. See, story titled "Senate Banking Committee Holds Hearing on Data Security" in TLJ Daily E-Mail Alert No. 1,093, March 11, 2005. 3/14. President Bush awarded National Medals of Science and Technology at a White House event. This year's recipients include Robert Metcalf (for his work in developing ethernet technology) and Watts Humphrey (for his work in software engineering). Bush also gave a short speech in which he discussed the nature of innovation. He said that "the same passion for discovery that drove Lewis and Clarke to the Pacific has also led bold Americans to master the miracle of flight, to conquer dreaded diseases, and explore the frontiers of space. To reward and encourage America's spirit of innovation, Congress created the National Medal of Science and National Medal of Technology." "Your experiences vary widely; yet all of you share some common traits. As innovators, you heard a calling to challenge the status quo. You weren't afraid to ask important questions. You applied rigorous standards to your research. I suspect some of you suffered some setbacks, yet you didn't get discouraged. You followed where the evidence led. You revised your methods, but not your ambitions. And through a lifetime of hard work, you have produced accomplishments that will endure beyond your years." He added that "For most of you, the journey of this day began when someone engaged your curiosity -- a schoolteacher, or a parent, or a caring adult in your community." He made no mention of other things that governments do in the name of promoting innovation. He did not reference the role of conferring upon inventors and authors limited property rights in their creations, or the role of government funding and tax breaks. 3/14. William Donaldson, Chairman of the Securities and Exchange Commission (SEC), gave a speech to the Mutual Fund and Investment Management Conference in Palm Desert, California, in which he discussed, among other topics, integrating internet disclosure into the SEC's mutual fund disclosure regime. Donaldson (at right) stated that "I have asked the staff to carry out a top-to-bottom review of the mutual fund disclosure regime and how we can maximize its effectiveness on behalf of fund investors. Few would disagree that many mutual fund disclosure documents are too long and complicated. Investors need disclosure that is clear, understandable, and in a usable format in order to make informed investment decisions." He then said that "Investors also need information that is timely. In this regard, we need to examine ways that we can make better use of technology, including the Internet, in our disclosure regime. No good idea will be off the table -- and we welcome and encourage your input." 3/14. President Bush formally nominated Paul Clement to be the Solicitor General of the United States. He is currently the acting SG. President Bush had previously announced his intent to make this nomination. See, White House release. 3/14. Richard Sulpizio was named President of MediaFLO, which is Qualcomm's arm for delivering Forward Link Only (FLO) multimedia content to wireless devices. Sulpizio is a former President and COO of Qualcomm. See, Qualcomm release. 3/14. Federal Communications Commission (FCC) Commissioner Michael Copps gave a speech [6 pages in PDF] at a Cellular Telecommunications and Internet Association (CTIA) Wireless Accessibility Workshop in New Orleans, Louisiana. 3/14. The Government Accountability Office (GAO) released a report [128 pages in PDF] titled "Information Technology: Customs Automated Commercial Environment Program Progressing, but Need for Management Improvements Continues". The Automated Commercial Environment (ACE) program is the new import and export processing system of U.S. Customs and Border Protection (CBP), which is a part of the Department of Homeland Security (DHS). 3/13. The Walt Disney Company Board of Directors named Robert Iger to be its next CEO. He will replace the current CEO, Michael Eisner, effective September 30, 2005. See, Disney release. 3/11. The Federal Communications Commission (FCC) released its Report and Order [42 pages in PDF] in its proceeding titled "Facilitating Opportunities for Flexible, Efficient, and Reliable Spectrum Use Employing Cognitive Radio Technologies". See also, FCC release [PDF] summarizing this R&O. Cognitive radio technology, among other things, enables devices to determine their location with GPS data, sense spectrum use by other devices, change frequency, adjust output power, and alter transmission parameters and characteristics. FCC Commissioner Jonathan Adelstein wrote in a separate statement [PDF] praising this R&O that "These technologies should lead to the advent of smarter unlicensed devices that make greater use of spectrum than is possible today. Cognitive radios may also provide licensees with innovative ways to use their current spectrum more efficiently, and to lease their spectrum more easily on the secondary market." This R&O states that "we are here modifying and clarifying our equipment rules to further facilitate the development and deployment of software defined and cognitive radios." The R&O states that "We are requiring that a manufacturer supply a high level operational description of the radio software that controls its RF characteristics for certification of a software defined radio. We are also clarifying our rules to permit manufacturers to market radios that have the hardware-based capability to transmit outside authorized United States frequency bands, but have software controls to limit operation to authorized frequency bands when used in the United States." The R&O also states that "we are modifying the rules to ensure that radios with software that is designed or expected to be modified by a party other than the manufacturer have reasonable security measures to prevent unauthorized modifications that would affect the RF operating parameters or the circumstances under which the transmitter operates in accordance with Commission rules. Further, we describe the technical measures that cognitive radios could employ to allow secondary use of spectrum by lessees while maintaining the availability of the spectrum for a higher priority use by the licensee when needed." This R&O does not adopt a technical model for interruptible spectrum use. Nor does it adopt any rules changes to to allow higher power operation by unlicensed devices, for example, in rural areas. The FCC adopted this R&O at its March 10, 2005 meeting. This item is FCC 05-57 in ET Docket No. 03-108. The FCC adopted its Notice of Proposed Rule Making and Order [53 pages in PDF] on December 17, 2003. It released this NPRM on December 30, 2003. This NPRM is FCC 03-322. See also, story titled "FCC Releases Cognitive Radio Technology NPRM" in TLJ Daily E-Mail Alert No. 808, December 31, 2003. 3/11. The Federal Communications Commission (FCC) released an order [PDF] in its proceeding titled "In the matter of Petition for Waiver of the Part 15 UWB Regulations Filed by the Multi-band OFDM Alliance Special Interest Group". This order grants a waiver of certain emission measurement procedures applicable to ultrawideband (UWB) transmitters. The FCC adopted and announced this order on March 10, and released it on March 11. This order is FCC 05-58 in ET Docket No. 04-352. On February 14, 2002, the FCC adopted its First Report and Order [118 pages in PDF] in its UWB proceeding titled "In the matter of Revision of Part 15 of the Commission’s Rules Regarding Ultra Wideband Transmission Systems", and numbered ET Docket No. 98-153. It released that order on April 22, 2002. It is FCC 02-48. The FCC adopted a Second Report and Order and Second Memorandum Opinion and Order [55 pages in PDF] at its meeting of December 15, 2004. See, story titled "FCC Adopts UWB Second Report & Order" in TLJ Daily E-Mail Alert No. 1,039, December 16, 2004. It released this order on December 16. This item is FCC 04-285 in ET Docket No. 98-153. 3/11. The Office of the Solicitor General (OSG) filed its Conditional Cross-Petition for Writ of Certiorari in FCC v. Prometheus Radio Project, a case regarding the Federal Communications Commission's (FCC) media cross ownership rules. This is Federal Communications Commission and USA v. Prometheus Radio Project, et al., Sup. Ct. No. 04-1168, a cross-petition for writ of certiorari to the U.S. Court of Appeals for the 3rd Circuit. 3/11. Sen. Ted Stevens (R-AK), the Chairman of the Senate Commerce Committee, stated that he expects the Committee to report a broadcast decency bill, that is expanded to include cable and other technologies for delivering multichannel programming. See, transcript. He said "We ought to find some way to say, here is a block of channels, whether it’s delivered by broadband, by VoIP, by whatever it is, to a home, that is clear of the stuff you don't want your children to see." He also stated that the legislation ought to impose a ratings system upon cable. He said that "We're not going to censor cable. We're just going to do, by the way, what the movie business does in the beginning -- you read the ad about the movie, you look at it and it tells you whether its something you should take your children to." The House Commerce Committee approved its bill, HR 310, the "Broadcast Decency Enforcement Act of 2005", on a roll call vote of 46-2, on February 10, 2005. See, story titled "House Commerce Committee Approves Bill to Increase Broadcast Indecency Fines" in TLJ Daily E-Mail Alert No. 1,074, February 10, 2005. The full House approved the bill on February 16, 2005. HR 310 amends the Communications Act by increasing the maximum penalty for obscene, indecent, or profane material in radio or television broadcasts from $32,500 to $500,000 per violation. However, it only affects broadcast radio and television. It does not affect other subscription providers of multichannel programming, such as cable, direct broadcast satellite (DBS), and satellite radio. Sen. Stevens (at right) said that "I think we'll probably try to report out a Senate bill and on the floor put it in as a substitute to the House and to conference". He also said that "we postponed the markup until after the recess and we’re going to do it right and I invite cable to come in and talk". Sen. Stevens stated that "I intend to try and level the playing field. I take the position that at the time the Supreme Court made its decision about cable, cable was just one of the ways for public access to television products. Today 85 percent of the television that is brought to American homes is brought by cable and I believe that the playing field should be leveled. We have imposed this as a standard on local broadcasters. Under the law, we compel cable to carry those local broadcasters." Legal Background. In FCC v. Pacifica Foundation, 438 U.S. 726 (1978), the Supreme Court upheld the FCC's power to regulate broadcasting that is indecent, but not obscene. At issue was a radio broadcast of a monologue by gutter comic George Carlin. However, no majority of the Court formed around any constitutional analysis for sustaining the regulation under the First Amendment. Although, the Court noted the pervasive, accessible and ubiquitous nature of broadcasting. Cable operators (as well as DBS and satellite radio providers) have argued that since they are subscription based services, they lack the pervasive, accessible and ubiquitous nature that the Court relied upon in allowing government regulation of broadcasters. They also note that many cable companies offer their customers channel blocking capabilities. In Turner Broadcasting System v. FCC, 512 U.S. 622 (1994), also known as Turner I, the Supreme Court upheld the must carry provisions of the Cable Television Consumer Protection and Competition Act of 1992, Public Law 102-385, against a First Amendment challenge. The Court rejected Turner's argument that strict scrutiny applies, and instead, applied intermediate scrutiny analysis. Turner Broadcasting System v. FCC, 520 U.S. 180 (1997), Turner II, reaffirmed that "We held that, under the intermediate level of scrutiny applicable to content neutral regulations, must carry would be sustained if it were shown to further an important or substantial governmental interest unrelated to the suppression of free speech, provided the incidental restrictions did not "burden substantially more speech than is necessary to further" those interests." See also, story titled "Senator Stevens Discusses Indecency" in TLJ Daily E-Mail Alert No. 1,086, March 2, 2005. 3/11. The U.S. Court of Appeals (7thCir) issued its opinion [6 pages in PDF] in Skylink Technologies v. Assurance Company of America, a case regarding an insurer's duty to defend and indemnify its insured in a dispute involving the anti-circumvention provisions of the Digital Millennium Copyright Act (DMCA), and interoperability of after market products. The Appeals Court held that an insurer has no duty to defend its insured under an advertising injury clause that covers claims of "Infringement of copyright" when its insured is sued for violation of the anti-circumvention provisions of the DMCA. The plaintiff in the underlying action is Chamberlain Group, Inc. It makes equipment for automatically opening garage doors. It makes electronically powered devices that raise and lower garage doors, the attached receivers that activate the device that raises or lowers the door, and the portable transmitters that signal the garage unit to open or close the door. It has sought to prevent Skylink Technologies, Inc. from selling garage door opener (GDO) transmitters that interoperate with its systems, by asserting that Skylink has violated the DMCA by selling devices that circumvent a technology measure that effectively controls access to a copyrighted work -- namely, software in the garage unit that opens and closes doors. Chamberlain filed complaints in both the U.S. District Court, and in Canadian court, against Skylink, alleging that Skylink's advertisements are false or misleading because Skylink's transmitters are not actually compatible with Chamberlain’s rolling code technology, as claimed on the packaging of the Skylink products. Chamberlain also alleged violation of the DMCA. D) Infringement of copyright, title or slogan." The District Court granted summary judgment to Assurance. The Court of Appeals affirmed. It held that an allegation of false comparison or products is not an allegation of libel or slander. The Appeals Court also held that the DMCA claim does not fall within the "Infringement of copyright" clause in the policy. It only briefly explained its conclusion on this point. And, it was not clear. The Appeals Court did not state the violation of the anti-circumvention provision is not copyright infringement. Rather, it wrote that "the real harm Chamberlain alleges results from the fact that the Skylink transmitter and keypad circumvent the rolling code technology, not from the way the products are packaged. Again, Chamberlain does not object to Skylink's marketing of its products except to the extent that they claim to use the rolling code technology. It is that failure to use the technology, not the advertisement, that caused the alleged injury." This case is Skylink Technologies, Inc. v. Assurance Company of America, App. Ct. No. 04-2005, an appeal from the U.S. District Court for the Northern District of Illinois, Eastern Division, D.C. No. 03 C 1735, Magistrate Judge Michael Mason presiding. 3/11. Supachai Panitchpakdi, Director General of the World Trade Organization (WTO), gave a speech titled "The WTO after 10 years: the lessons learned and the challenges ahead". He first reviewed the history of the WTO. He said that "The information age has been given a significant boost through our 1998 agreements on telecommunications and information technology products. Trade in information technology products rose sharply after this agreement and it is notable that the gains have been registered not only in industrial countries, but in developing countries as well. From 1996 to 2002, developing countries' share of world exports in this sector have risen from 40% to 52%." He then made a pitch for completing the Doha Development Agenda. "How can we ensure the WTO's continued relevance to the goals of economic growth, development and international co-operation? The answer is both simple and complex: conclude the Doha Development Agenda in timely fashion and with an ambitious outcome. Easier said than done, I know." He also referenced telecommunications and financial services. "Telecoms services are essential to virtually all economic sectors and positively affect trade volumes. Advances in this sector means lower costs and greater access to other services. The quality and price of financial services are key factors in overall trading costs. Greater competition in this sector has proven to be central to increased efficiency and diversity of these services. He added that "I would note that successful conclusion of the Doha Round will also depend on the outcome of the congressional debate this spring on two important WTO related items -- the two-year extension of the Trade Promotion Authority for President Bush and the second five year review of the US participation in the WTO. I have spent a large part of the last two days on Capitol Hill discussing these issues with congressional leaders and I came away optimistic." 3/11. Sen. Paul Sarbanes (D-MD) announced that he will not run for re-election in 2006. He is the ranking Democrat on the Senate Banking Committee. Sen. Christopher Dodd (D-CT) is next in seniority among Democrats on the Committee. Sen. Sarbanes is the second Senator to announce his retirement. On February 9, 2005, Sen. Mark Dayton (D-MN) announced that he will not run in 2006. See, Dayton release. 3/11. John Muleta, Chief of the Federal Communications Commission's (FCC) Wireless Telecommunications Bureau announced that he will leave the FCC at the end of March 2005. See, FCC release [PDF]. 3/11. Robert Pepper was named acting Chief of the Federal Communications Commission's (FCC) Office of Strategic Planning and Policy Analysis (OSP), effective Monday, March 14, 2005. Pepper is currently the FCC's Chief of Policy Development. Linda Blair, who has been acting Chief of the OSP since October of 2004, will return to her previous position of Deputy Chief of the FCC's Enforcement Bureau. See, FCC release [PDF]. 3/11. President Bush announced his intent to nominate Paul Clement to be Solicitor General. He has been the acting Solicitor General since the departure of Ted Olson, who returned to the law firm of Gibson Dunn & Crutcher. Clement previously was a partner in the Washington DC office of the law firm of King & Spalding. See, White House release. 3/11. The Senate confirmed Michael Jackson to be Deputy Secretary of the Department of Homeland Security (DHS), by voice vote, on Thursday, March 10, 2005. He took the oath of office on Friday, March 11, 2005. See, DHS release. 3/11. Spencer Barasch, the senior enforcement official in the Securities and Exchange Commission's (SEC) Ft. Worth, Texas, office, will leave the SEC to become a partner in the Dallas office of the law firm of Andrews Kurth (AK). See, SEC release and AK release. 3/11. Neelie Kroes, the European Commissioner for Competition, gave a speech titled "Taking Competition Seriously -- Anti-Trust Reform in Europe" in Brussels, Belgium, on March 10. See also, speech [13 pages in PDF] by Philip Lowe on March 11 titled "Anti-Trust Reform in Europe: A Year in Practice". 3/11. The Copyright Office (CO) published a notice in the Federal Register announcing that SoundExchange filed with the CO "a notice of intent to audit DMX Music, Inc., for its transmissions of sound recordings to business establishments made under an exemption to the digital performance right. This audit intends to review transmissions to business establishments made by DMX Music, Inc., for the years 2002, 2003, and 2004." See, Federal Register, March 11, 2005, Vol. 70, No. 47, at Pages 12242 - 12243. Go to News from March 6-10, 2005.